E-Waste Recycling: How to Do It Effectively? Do you have old computers, printers and other electronic items that make your office look so crowded? You are probably planning to put them into junk once your move or renovation takes place. But are you still not that sure how you can do it without harming the environment? Well, you are on the right page! E-waste recycling can be a great solution to your electronic waste once you start disposing of them. Not only can you keep the process eco-friendly, but you can also reduce the pile in your office. Business Relocation Services offers a service to collect unwanted e-waste. And deliver it to a centre which is designed for e-waste recycling. The items undergo many processes to make sure they are properly recycled to help lessen the carbon footprint. This can also prevent your internal information from getting hacked when you choose to dispose of some of your electronic devices. Getting rid of them properly whether you are having a relocation or they just no longer work that well, is important. And E-waste recycling is the right method to do it. E-waste recycling process allows the electronic items to be re-used or destroyed entirely without causing harmful effects to our environment. Good thing, Business Relocation Services provide such services, free of charge, just the transportation costs apply. We also offer a premium E-waste recycling service which includes a certificate of assurance. That says that the specific electronic device has been fully destroyed. It is recommended to any IT equipment that has sensitive information access such as banking, business and even personal details. When you plan to have a move, there is a huge chance that your internal data can be in the entire process. Yes, we are talking about office server move. Most of the information you enter on your computers or other office electronic devices are in it. So, if you have a plan of disposing of them for some reason, why not do E-waste recycling? In that way, you can prevent yourself from dealing with much bigger issues like data hacking, leakage of confidential information, so and so forth. You may not realise it yet, but once the move takes place, leaving and putting some of your items just anywhere is not a wise decision. So, renting storage units where you can keep some of your stuff safe and secure can also be a perfect solution to it. It is as effective as acknowledging the idea of recycling your electronic equipment. Because they are not only protecting the environment from the harmful effect of the improper waste of it. But they also keep your confidential information, like your financial accounts, employees’ personal data, etc. Considering the benefits of E-waste recycling for your electronic devices is also necessary. Just like when you choose a removalist company who can help you with your move. 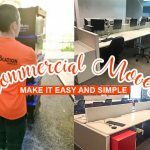 Since there is a huge chance of throwing some of your items when the move takes place, an eco-friendly method can bring a massive change to your move as well as to the environment. Leaving them undestroyed, on the other hand, can surely lead to leakage of your important data without your knowledge. Business Relocation Services has a lot more to offer you! We have a reliable team who will help you with your relocation needs. We are professionals who know how to deal with the easiest to the challenging tasks that need to be done for you. And by checking out our blog section, you can also find helpful tips, hacks and information about our services. Feel free to reach us for your comments and suggestions about the services we cater to you. Our lines are open to deal with your concerns. And see what we can do for you when it comes to your relocation. No matter what type of move you need, we can guarantee you that we got your back! So, what are you waiting for? Give us a call today! And let our team of experts handle your frustration when it comes to the entire process of moving. E-Waste What Should I do with IT?